With its exquisite and elegant bottle design featuring Swarovski crystals, "Bellissima" is a unique and unforgettable gift for the vodka lover. How it's made: This artisanal vodka is made from the distillation of red delicious apples, a variety that is cultivated throughout the historic Italian region of Romagna. Meanwhile, groundwater from the Euganean Hills, a volcanic thermal region in the Veneto, passes through several layers of limestone and is enriched with mineral salts. It emerges from a spring in the village of Fontanafredda, where it is harvested and added to the apple distillate to make this distinctive vodka. 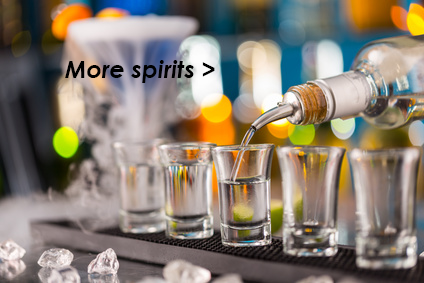 Serving suggestions: Perfect to sip on its own, chilled (4°C) or to make extra-special vodka martinis or mixed drinks.